Her book is about saving animals and keeping them from going extinct. ST. LOUIS — Chelsea Clinton is bringing her book tour to St. Louis. She’ll read her new book “Don’t Let Them Disappear” and answer questions from the crowd during an event at the Saint Louis Zoo. It’s set for Friday, April 5 at 5:30 p.m.
Clinton's book is about "the animals who share our planet–and what we can do to help them survive," according to the publisher's website. "In this book, Chelsea Clinton introduces young readers to a selection of endangered animals, sharing what makes them special, and also what threatens them. Taking readers through the course of a day, Don’t Let Them Disappear talks about rhinos, tigers, whales, pandas and more, and provides helpful tips on what we all can do to help prevent these animals from disappearing from our world entirely," the website continued. Seating is limited, and zoo officials expect it to sell out quickly. 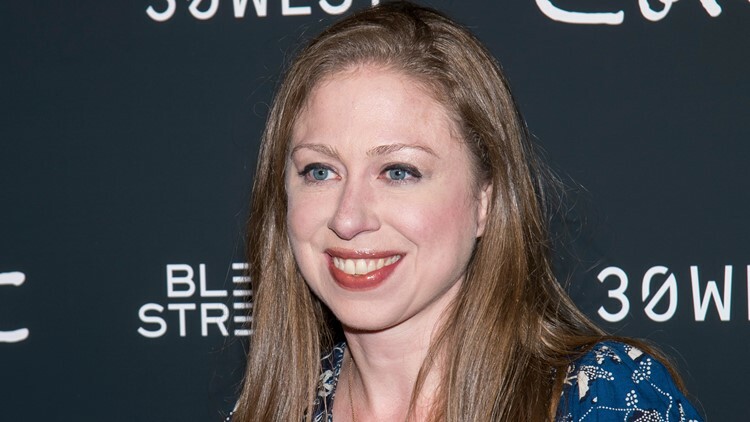 The cost is $5 for entry or $20 for admission and a copy of the book, which attendees will have the opportunity to have Chelsea Clinton sign at the event. At least one person in each group transaction must buy a copy of the book. For more details about the event and how to buy a ticket, click here.